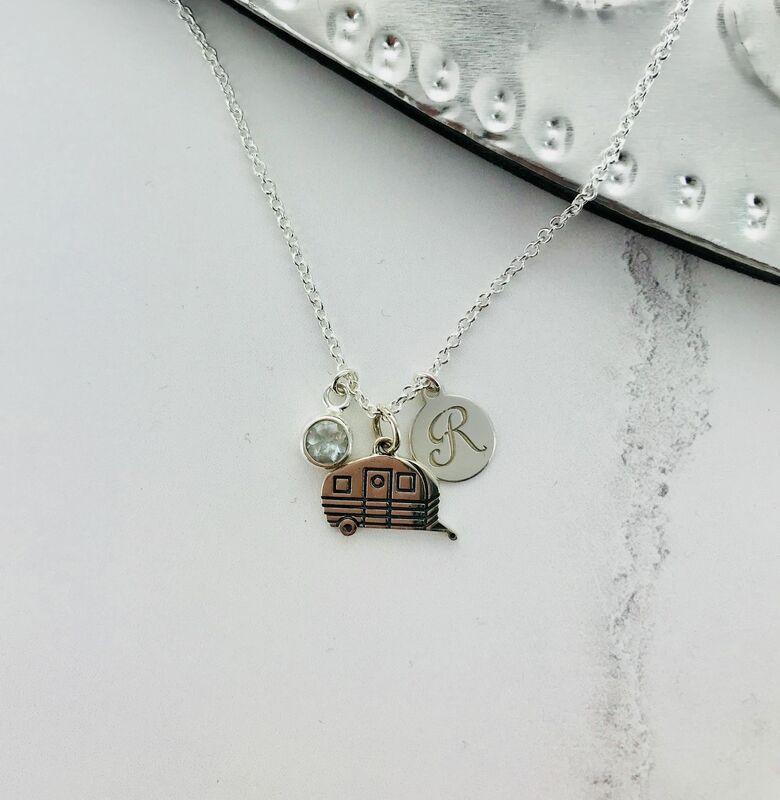 A fun triple charm sterling silver necklace with a caravan, birthstone and initial of your choice. 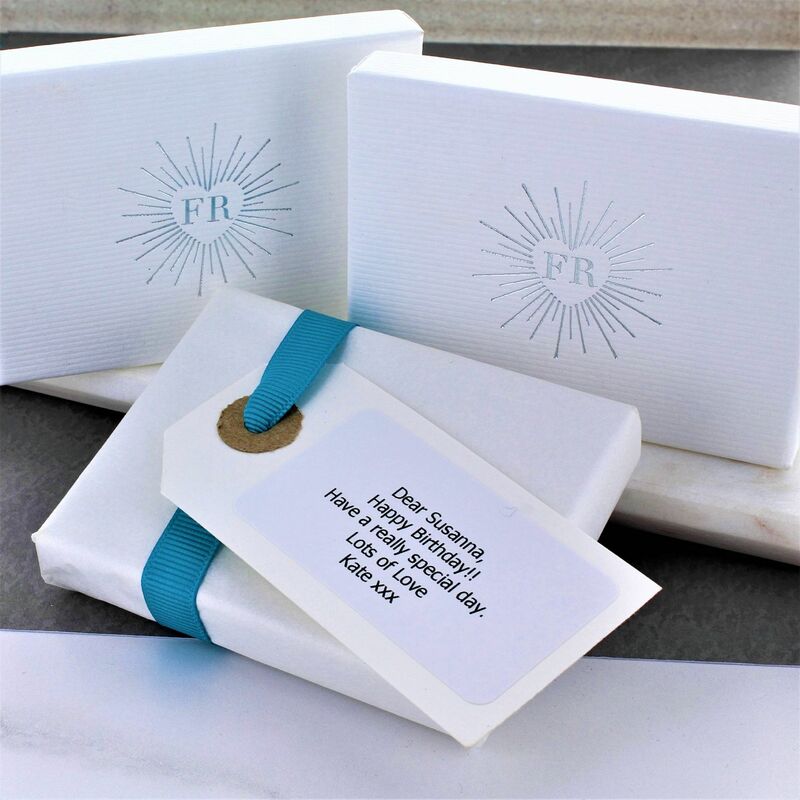 This fun personalised necklace would be a great birthday or party gift. 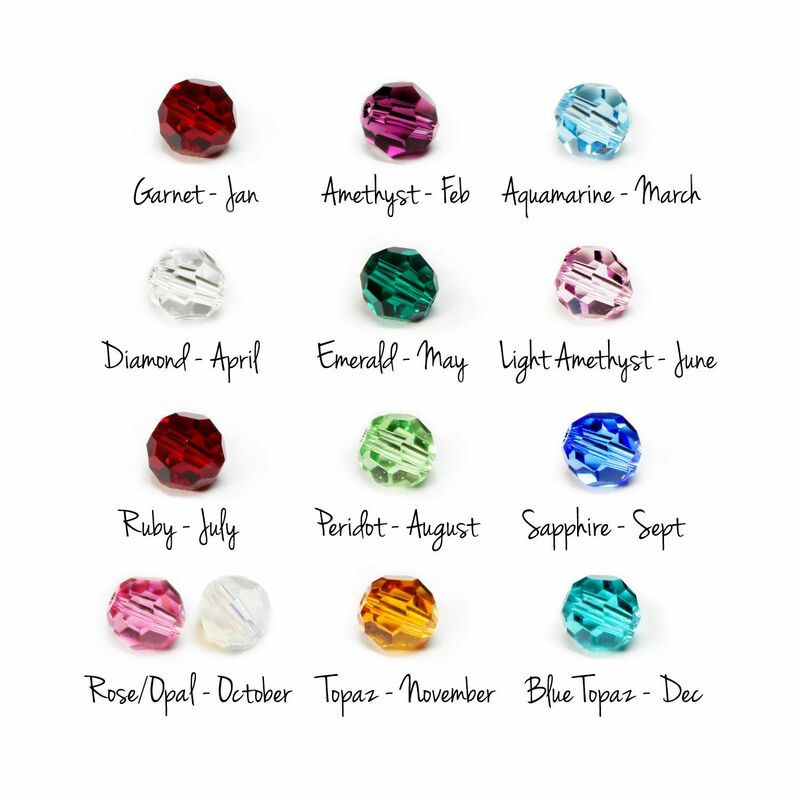 The charm necklace can personalised with any initial and birthstone of your choice on a silver trace chain.